What is going on with this Bryan Stork thing? Failed medicals, traded and even contemplating retirement only 2 years after being the starting center for the Patriots Super Bowl winning season. 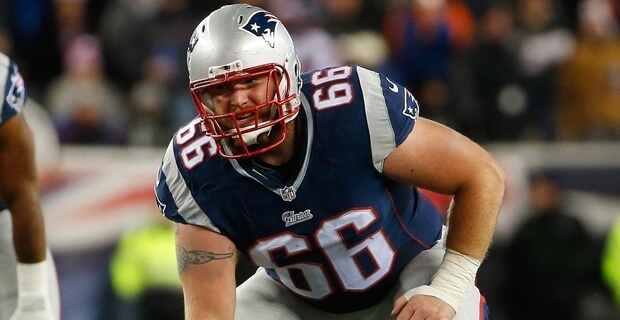 On Monday, the New England Patriots decided waive center Bryan Stork after failing a physical with the Redskins which has stopped a trade that was put in last week. This resulted in the Patriots picking up a conditional seventh-round pick. There is no confirmation at the moment to why Stork failed his physical but there are rumours it is due to the multiple concussions he has had in his short NFL career. "It's disappointing. I'm sure he's disappointed. We're disappointed, but it happens every year," Redskins coach Jay Gruden said after Monday's practice, according to the Washington Post. "When people get traded or picked up, they have to pass physicals, and every physical is different. Until all that gets taken care of -- they report, they pass a physical -- as a coach, there's really not a lot you can do until they actually get into the pads and into practice. It's unfortunate. He's a great kid and obviously a very good player. ... Every physical is different on every team, so it might be different somewhere else, but it didn't work out here." Stork's shock at being sent to Washington after being released by the Patriots he even thought about retiring after only 2 seasons. Then he tweeted that he changed his mind and looking forward to representing the Redskins organisation. The third-year center has suffered four concussions in the past four years with one being reported earlier this month and with the new heightened precautions over head injuries this wasn't going to bode well for him. The Redskins have Kory Lichtensteiger starting at center at the moment with Spencer Long as back up but Stork would have given them much needed depth at the position. If you're being realistic a guy who has come into the league with a history of head injuries and keeps repeatedly getting concussions like we have seen isn't going to last long. It might be time for Stork to think about his health over his career, however hard it is. Stork will carry to find another team and is good enough but will they take him with his medical history?